The entry model Octavia Ambition includes Adaptive Cruise Control, SmartLink smartphone connectivity with Apple Carplay® and Android Auto™, 7 airbags, ESC with Multi-Collision Brake, Green Tech including engine start-stop, 17" alloy wheels, air conditioning, 6.5" touch screen Bolero radio, 3-spoke multi-functional steering wheel, rear view camera and a rear parking sensor as standard. The total package, without the grand total. 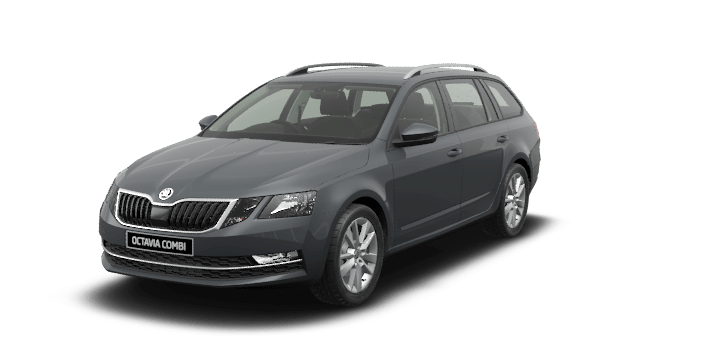 The award-winning Octavia range now with more value than ever before. Sharing the very latest in Volkswagen Group technology, the entire Octavia range comes standard with SmartLink Smartphone Connectivity and Adaptive Cruise Control allowing for a more comfortable, enjoyable and most importantly safer drive. With an impressive range of standard safety features including Front Assist with City Emergency Brake, Rear view camera and Rear parking sensors – the Octavia has earned its 5-star ANCAP safety rating. As ŠKODA drivers have come to expect, the Octavia is full of “Simply Clever” features and exceptional boot space, making it the perfect car for families who pack more into every day. Utilising the same radar sensor as Adaptive Cruise Control, the the Front Assist^ safety system monitors the area in front of the car at speeds above 30km/h. Using predefined algorithms, it decides whether these objects pose a potential risk of collision and alerts the driver – helping to avoid a collision or reduce the severity of the accident. Standard across all variants, the Rear View Camera^ gives a clear view of objects usually out of sight allowing the driver to manoeuvre with added confidence and safety. Rear Parking Sensors are also standard across the entire Octavia range. Multi-Collision Brake is standard on all Octavia versions. If your vehicle is involved in a collision, your activated airbags will trigger automatic braking and illumination of your hazard lights, helping to prevent a secondary collision. ^Safety technologies are not a substitute for the driver’s responsibility for the vehicle. The Octavia Wagon has exceptional boot space – with 588 litres of space letting you pack in more, from shopping to sports gear to suitcases. With all this extra space, the ŠKODA Octavia Wagon is the perfect car for families who pack more into every day. Our lighter, cleaner, more fuel-efficient engines include Volkswagen Group's new turbocharged 1.4 litre 110TSI engine; delivering an impressive 250Nm of torque and a combined fuel economy of 5.2L/100km* (for 110TSI 7-speed DSG). That's up to 20% more fuel-efficient than the previous generation Octavia. In addition to the 110TSI, a 110TDI diesel engine is offered on the Style. The turbo-diesel 110TDI offers a strong 320Nm from a 2.0 litre engine, while remaining fuel efficient at a combined 4.7L/100km* (for 110TDI 6-speed DSG). A standard feature across both engine variants is Green Tech^ - a technology allowing for further improvement in fuel economy and reduction of C02 emissions through the "Start Stop" and Brake Energy Recuperation features. *Fuel consumption figures according to ADR 81/02 derived from laboratory testing. Factors including but not limited to driving style, road and traffic conditions, environmental influences, vehicle condition and accessories fitted, will in practice in the real world lead to figures which generally differ from those advertised. Advertised figures are meant for comparison amongst vehicles only. The Octavia Ambition with optional Sports Pack is offered with black design elements including rear spoiler, mirror caps, fog lights and styling decals. To enhance its sport aesthetics the Ambition with Sports pack includes a 3-spoke sports steering wheel, 18” Turini black alloy wheels, sports suspension and Bi-Xenon headlights with Adaptive Frontlight System. Safety is paramount for the Ambition with light assist, rain sensors and rear seatbelt reminders. A car that senses danger ahead? Now that’s clever. Front Assist with City Emergency Brake◊ uses a radar sensor to monitor the risks in front of you, alert you of any hazards, and will even brake on its own to help avoid a collision. ◊Safety technologies are not a substitute for the driver’s responsibility for the vehicle. Our engineers have developed a hands-on approach to help identify driver fatigue. Fatigue Detection◊ monitors your movement through the steering wheel. If it senses signs of fatigue, it triggers an audible and visual warning alerting you that you need to stop and rest. ◊Safety technologies are not a substitute for the driver's responsibility of the vehicle. The last thing we want to happen to you immediately after an accident — is another accident. Electronic Stability Control (ESC) helps you maintain control of the car if it begins skidding, while Multi-collision Brake activates the braking system to help minimise any further collision. It’s good to know what’s around the corner. Add LED headlights with the optional Tech Pack and enjoy AFS (Adaptive Frontlight System). AFS swivels the light beam by up to 15° into turns, anticipating the movement of your car to improve visibility. Prefill Braking is a safety feature that anticipates your next step — literally. The OCTAVIA Wagon can recognise when you may be about to brake sharply and prepares by ‘prefilling’ the brake hydraulics with fluid. It also brings the brake pads closer to the discs, helping you stop safer, sooner. Some forward thinking for when you’re going backwards. A Rear View Camera and Rear Parking Sensors◊, standard across the OCTAVIA range, help you back out of your driveway with peace of mind and tackle those tricky reverse parks with confidence. The OCTAVIA Wagon is packed with features for a rainy day. Light AssistΔ automatically adapts to changing light conditions, while the rain sensor adjusts the speed of the wipers depending on light or heavy rainfall. ΔIncluded in optional Tech Pack. Ever noticed how when your mind starts to wander, so does your car? Lane AssistΔ◊ uses a camera positioned within the rear-view mirror unit to actively recognise lane markings and, if you begin to stray, take corrective action to gently steer you back on course. It will also send audible and visual messages if you need to take additional action. ΔIncluded in optional Luxury Pack. Here’s a feature you might not have seen coming. Side Assist (Blind Spot Detection)Δ◊ helps you change lanes safely by letting you know if there are any vehicles in your blind spot. If so, an LED symbol in the side mirror will light up, and start flashing if you indicate in the direction of the vehicle. It also takes corrective action if there is a car in your blind spot. We hope you never need the nine airbags that come standard in every OCTAVIA. They’re located at the front, front side, curtain, and driver's knee area. Overseas image shown. No cables, no worries. Now with the Qi Wireless charging in the centre console, you’ll never get caught with a flat smartphone. Available in the Tech Pack. Just when you thought cruise control couldn’t get any smarter. Adaptive Cruise Control (ACC)◊ features a radar sensor on the front grille which monitors the vehicle(s) ahead, allowing it to automatically brake an accelerate to a speed and distance set by you. Did we mention it comes standard? ◊Safety technologies are not a substitute for the driver’s responsibility of the vehicle. You know what else sounds great? In case the 8-speaker sound system isn’t enough, you can upgrade it to a premium, German, 10-speaker Canton Sound System. Canton adds a digital equaliser, sound level controls and vehicle noise cancellation. The Canton Sound System is included in the optional Tech Pack. Enjoy an 8" touch screen Bolero radio with Bluetooth® phone and audio streaming, USB and 8 speakers as standard. Or you can upgrade to the Tech Pack for a 9.2” Columbus infotainment system featuring Bluetooth® audio and streaming with voice control, SmartLink^^ smartphone connectivity, USB, AUX, and 2x SD Card Slots. ^^Smartlink is compatible for selected apps with the latest smartphone versions of i0S and Android. A car that gets the door for you? Now that’s service. KESSYΔ can be added so you can lock and unlock your car, and start and stop the engine without having to insert or even handle the key. As you get to know your OCTAVIA Wagon, it gets to know you, too. Driving Mode SelectionΔ adapts engine torque, accelerator sensitivity, power steering, headlight control (where AFS is fitted), DSG transmission, and air conditioning to your preferences, across four driving modes — Normal, Sport, Eco, and Individual. Parking has never been easier. With a press of a button, Automatic Parking AssistΔ◊ will begin searching for a parking space in a line of cars or other obstacles. When found, the car will steer itself into the space while you simply control the pedals. If you’re after trip information, the OCTAVIA Wagon puts it all on display. Enjoy a colour multifunctional display system that provides additional vehicle information including everything from oil temperature to phone, audio, Driver Assist Systems and navigation data. When it comes to air conditioning, it’s each to their own. Electronically controlled climatronic air conditioning, standard across the OCTAVIA range, has two zones, so you and your front passenger can each set your own temperature. Plus, the automatic air conditioning system has sensors and mechanisms that monitor and adjust temperature, humidity, direction and speed of airflow into the interior. Pretty cool, don’t you think? It’s not often you see ‘turbocharged’ and ‘efficient’ in the same engine summary. Our lighter, cleaner, more fuel-efficient engines include Volkswagen Group's turbocharged 1.4 litre 110TSI engine; delivering 250Nm of torque and a combined fuel economy of 5.2L/100km# (for 110TSI 7-speed DSG). #Fuel consumption figures according to ADR 81/02 derived from laboratory testing. Factors including but not limited to driving style, road and traffic conditions, environmental influences, vehicle condition and accessories fitted, will in practice in the real world lead to figures which generally differ from those advertised. Advertised figures are meant for comparison amongst vehicles only. Standard across both petrol variants is Green Tech~, featuring “Start Stop” and Brake Energy Recuperation. "Start Stop" automatically switches the engine off when stationary and starts it again when you want to drive off, while Brake Energy Recuperation uses kinetic energy to charge the car battery when you apply the brakes. ~There are certain operating conditions where the Green Tech “Start Stop” system is deactivated (e.g. during engine warm-up). Please refer to the owner's manual for full operating information. ^5 Year/Unlimited Kilometre Warranty is available with private, general fleet and government vehicles only. Excludes rental vehicles, hire cars, taxis, courier vehicles, driving school vehicles, security vehicles, bus and tour vehicles which are subject to a 5 Year/150,000 Kilometre Warranty (whichever occurs first). Your rights under this warranty sit alongside the consumer guarantees under the Competition and Consumer Act 2010 which cannot be excluded.Click here for 5 Year Warranty terms and Conditions. *Manufacturer's Recommended Driveaway Price (MRDP) is an average, estimate price which includes the recommended retail price, 12 months private registration, 12 months compulsory third party insurance (CTP), an estimated dealer delivery charge, stamp duty, options entered during the configuration process, and other applicable statutory charges. Options and metallic paint may be available for an additional cost. Please see us to confirm your individual price. The above pricing does not take into account any campaign/promotion that may be current in relation to any of the above models. For information regarding any current campaign, please contact us. 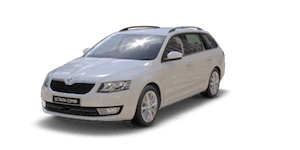 ŠKODA Australia reserves the right to change, supersede or extend all offers at its discretion.